With a chilling North wind reminding us that summer is still not quite with us I ventured South and decided to view what fly life may be around on the Southern chalk streams. With intermittent showers it certainly wasn’t a day to be out trout fishing. The recent rainfall had increased the depth of water on the Hampshire Cress beds, green shoots on the Hawthorn were illuminated by the late afternoon sun and rain drops glistened like diamonds on the damp branches. With the official start to the river trout fishing season underway few if anybody were out unfurling dry lines – the rivers ran fast and silent, not a click of a reel to be heard. I thought I would call into a small tackle shop near Swathing on the outskirts of Southampton. My reason for visiting was firstly to find a pack of braided leader loops and secondly to have a browse as usually I have young Tales in tow which makes for a speedy visit as he keen to be on the water than in a shop. 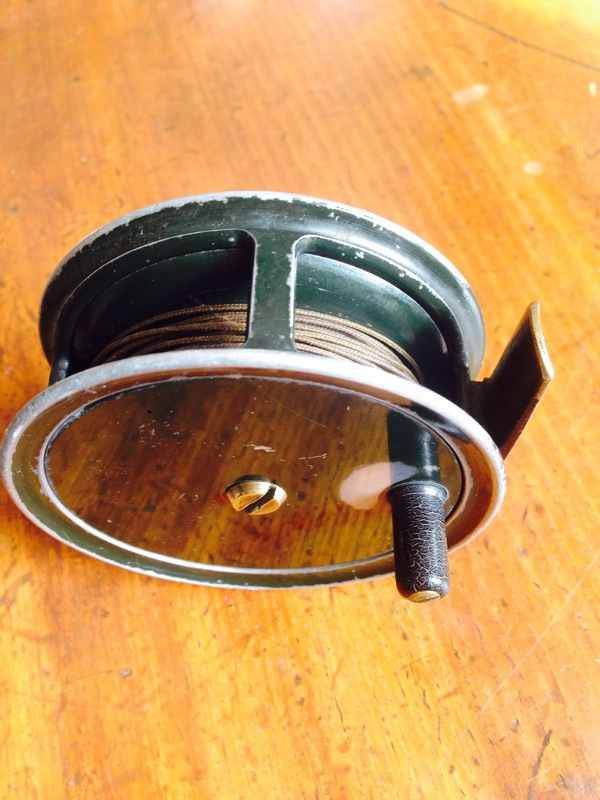 Having recently acquired an Intrepid Gear Fly reel, which came with line attached I realised I had no loops left to attach any leaders too. I’m not a great fan of needle knots so prefer to use the more modern braided leader loops. 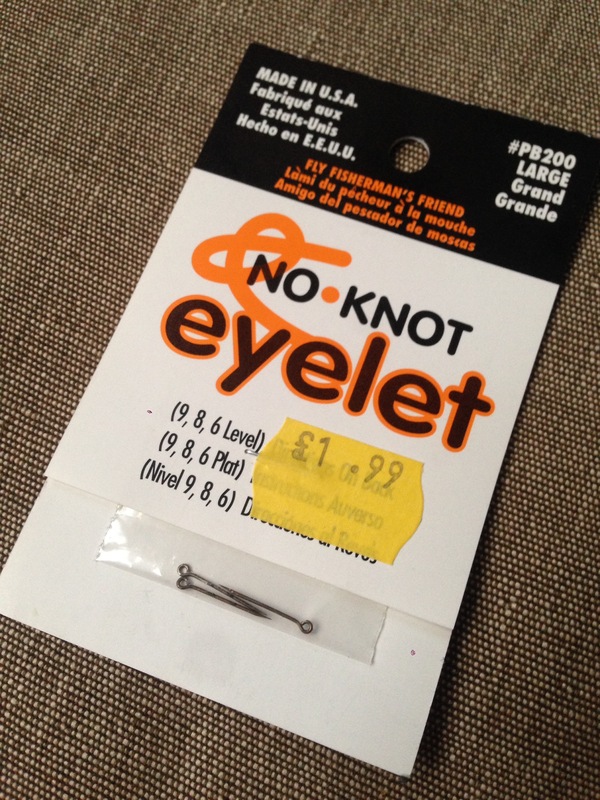 The only leader loops in the cabinet in the shop seemed to be too large, however a pack of ‘No Knot eyelets’ were found, made in the U.S.A by Skipper Enterprises. 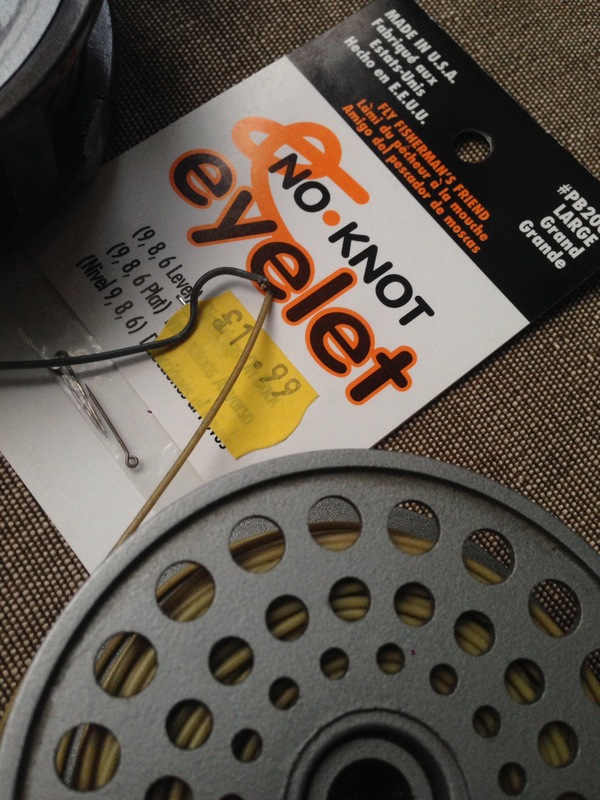 These fine wire No-Knot pins have barbs on them and are just inserted into the end of the fly line, you then just thread your leader material through the eyelet of the pin, hopefully the pin sets firm in the core of the line. I guess the most important thing is that these hold fast when playing a fish-well the proof will be when out on the river so look out for an update. 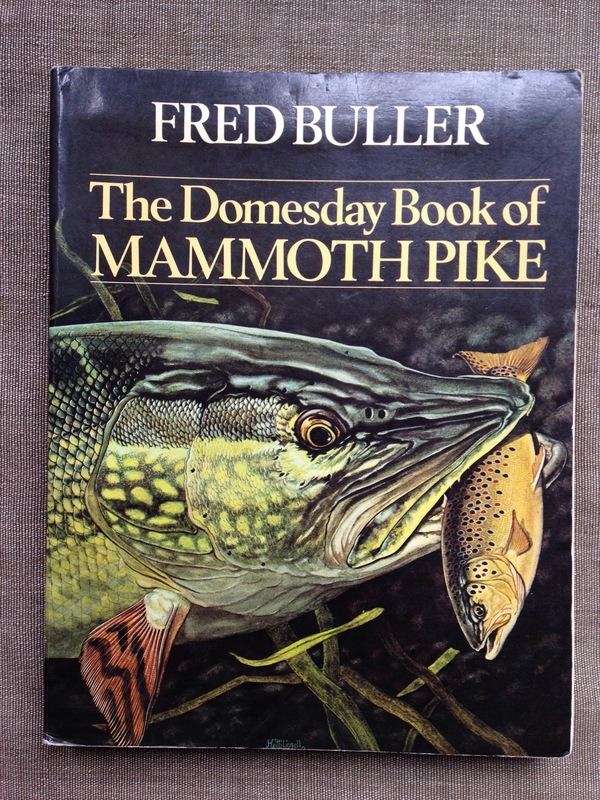 As I cast my eye over the book on fishing neatly stacked on my bookshelf one book stands out, The Domesday Book Of Mammoth Pike by the notable author Fred Buller. Its inch-wide spine giving it a certain prominence however the cover depicts a large pike consuming a brown trout, for this fearful looking creature seems to be sort after by many fisherman and so does a copy of this book. 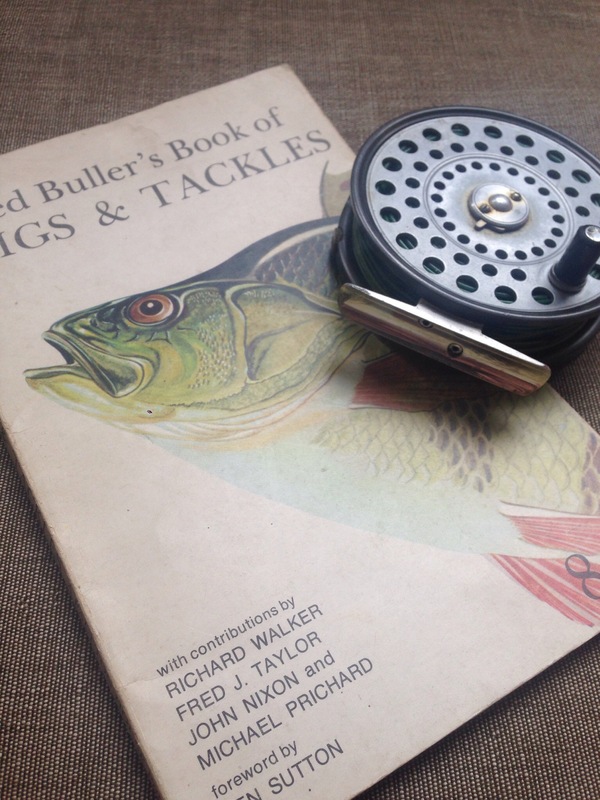 Published originally by Stanley Paul & Co Ltd in 1979 this book is a must read for any fisher and certainly a book for any collection. Mr Buller lived in South Heath close to my home town of Great Missenden a town on the edge of the Chiltern Hills. I was not aware of this fact until much later in life, for had I known as a teenager I would have no doubt made my acquaintance with such a gentleman of fishing notoriety and asked him to teach me how to fish. Fred Buller was also aquatinted with the likes of the legendary Hugh Falkus, Richard Walker and Fred Taylor all of whom I have book by. As the leaves start to tumble and fry scurry under the overhanging vegetation of the river there are pike laying in wait to make a meal of such offering and with a well oiled sprat, spinner or fly now is the time to fish for these predatory fish. To watch a large gazette float dip and move at speed or if hooked with a spinner these mighty fish will tail slap the water and leap for freedom. 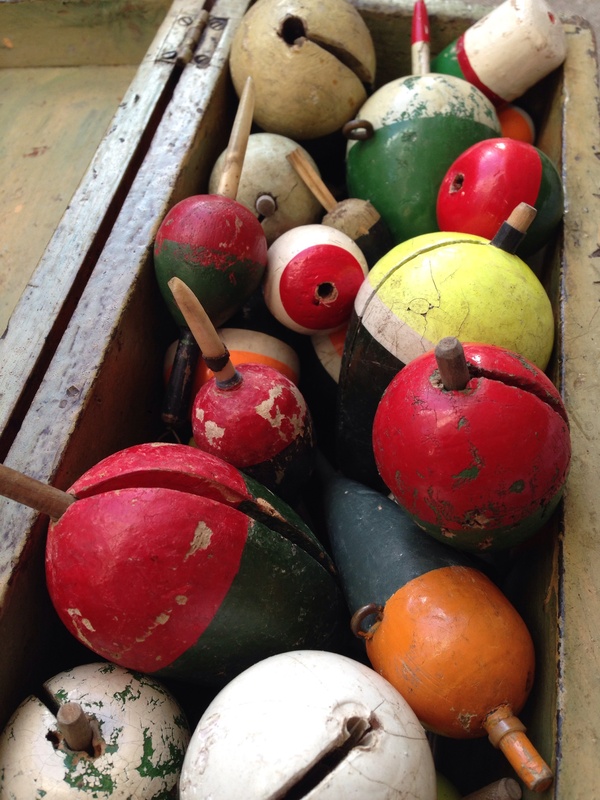 Next weekend will see the second Vintage Fishing Tackle Fair of this year in Redditch open its doors at 9am, there I will be selling various items of fishing tackle, cane rods, pike floats, spinner, fly boxes, bags and books. So if you wish to take to the road and visit us if no more than to talk over a cup of tea we would be delighted to see you. Pike floats to be used as Christmas decorations. As October draws to an end the focus is now on preparing for the National Vintage Tackle Show to be held in Redditch the heartland of what was the British tackle industry that sadly was to fall from favour with the influx of tackle made in the Far East. 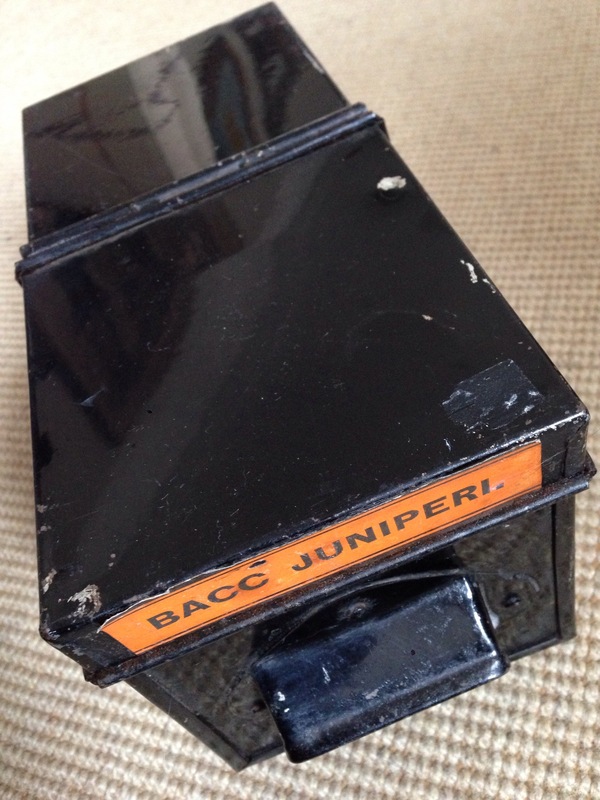 Even today even the brands that we understood to be reassuringly British source their manufacturing in Asia and the Far East. 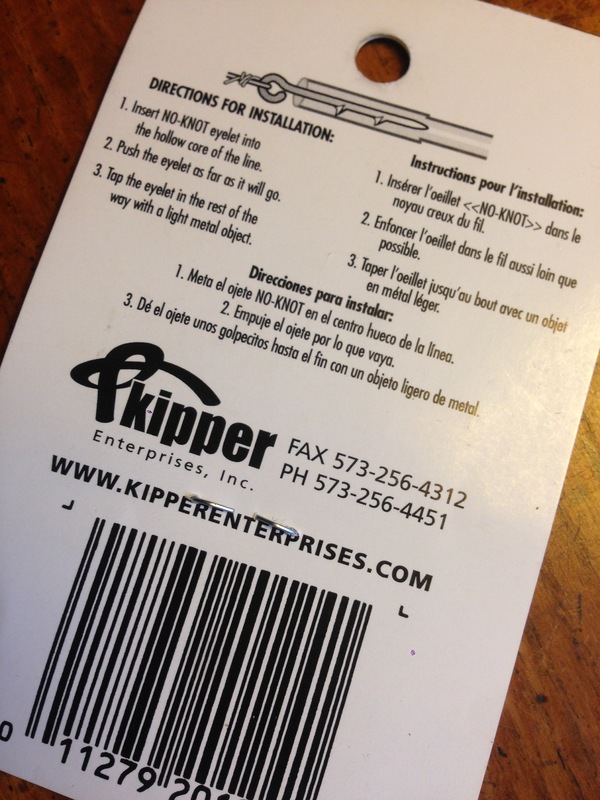 No longer do reels or rods have stickers saying ‘Made In England’ in favour of that commonly seen white dot sticker saying Korea, Taiwan, China or Japan. 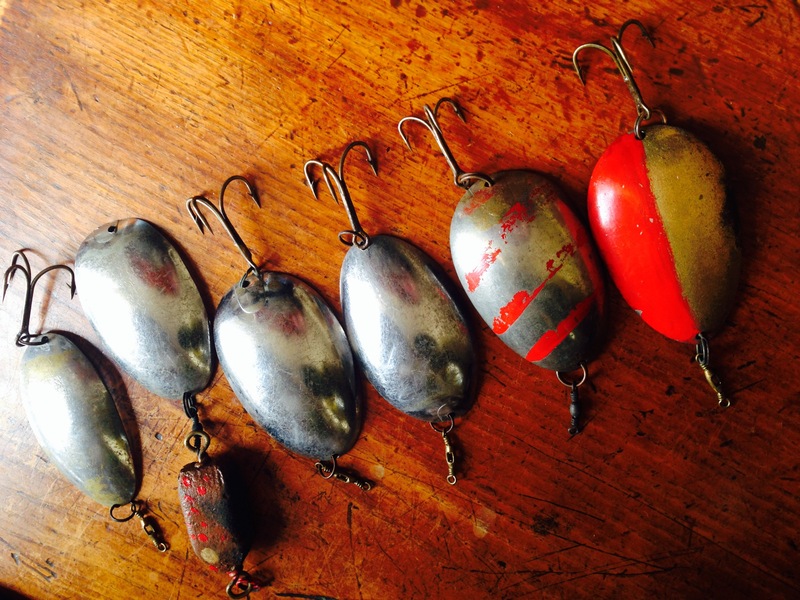 In mid November I will be selling an extensive collection of tackle that was ‘Made In England’ and other items from Sweden. A range of reels, rods and terminal tackle will be transported from the City to the town on Redditch, the hallowed ground of tackle that our grandfathers and their fathers fished with. 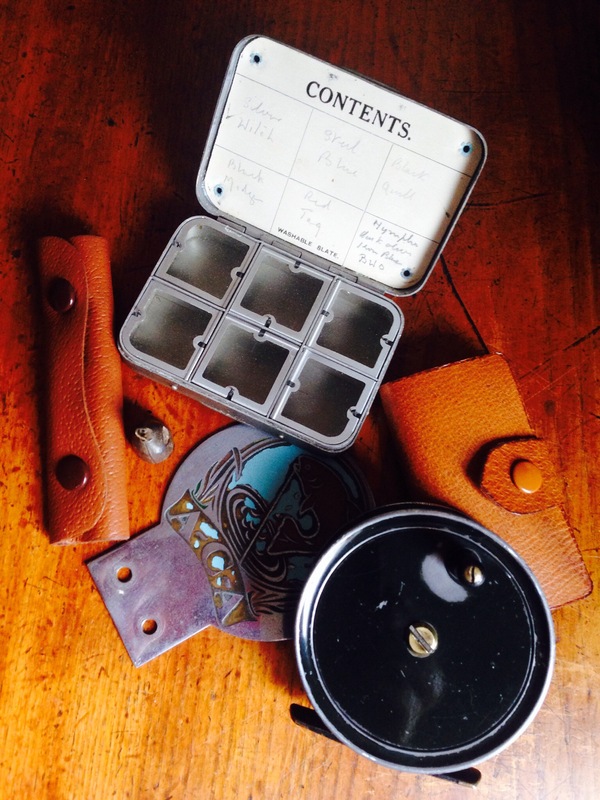 Today we treasure these items, for the traditional fisherman they are the brands of choice, like vintage cars, watches and memorabilia of days past they pluck our heart strings and bring a smile to the face. The distinctive click of the reel, the honey coloured cane and solid brass lures excite all that fish with them. Now it is time to sort, wrap, pack and detail the treasures that we have accumulated over the last three decades…and still do squire but Mrs Tales has said ‘no more’ so now is the time to pass these wonderful items on for others to cherish and fish with. Be sure to put the date in your diary if you are a keen traditional fisherman and make sure you head to Redditch and share the passion over a cup of tea, a jug of Porter or for those that know me a gin and tonic…but just the one. We as in young Tales and I look forward to making your acquaintance. As September draws to a close I sense a change is in the air. The official trout fishing season on rivers is now over so again the focus is on grayling for the next four months along with targeting perch on the Thames and rivers of Surrey, Hampshire, Oxon and Wiltshire. Having witnessed the red moon over the past week and an increase in seasonal temperatures we also witnessed some very high tides on the tidal Thames. Young Tales and I took to the river the other evening with rod in hand but failed to tempt a Thames silver fish to take our bait. Usually we hook roach and dace easily on the stretch of river where we live but without a box of maggots at our disposal the flakes of bread and sweetcorn we used didn’t get a knock. In the ‘House Of Tales’, the decision has been made to have a bit of a clear out so over the next few weeks we will be selling some vintage rods, reels and terminal tackle, which the majority of good peices will be packed up and shipped to Redditch for the Vintage Tackle Fair. Rods by Hardy, Allcocks, B James, Alex Martin and Aspindales will be put up for sales along side reels from Abu, Hardy and Allcock and JW Young’s. If you are looking for anything in particular drop us a line. As they say time and tide waits for no man and it will be a few years before another Super Moon passes by. The technical team at WordPress have told me that most people read my posts on a Monday evening at 8pm. Over the last few months it has been difficult to post on a regular basis, there is less downtime and with a challenging commercial environment focus has had to be on work. 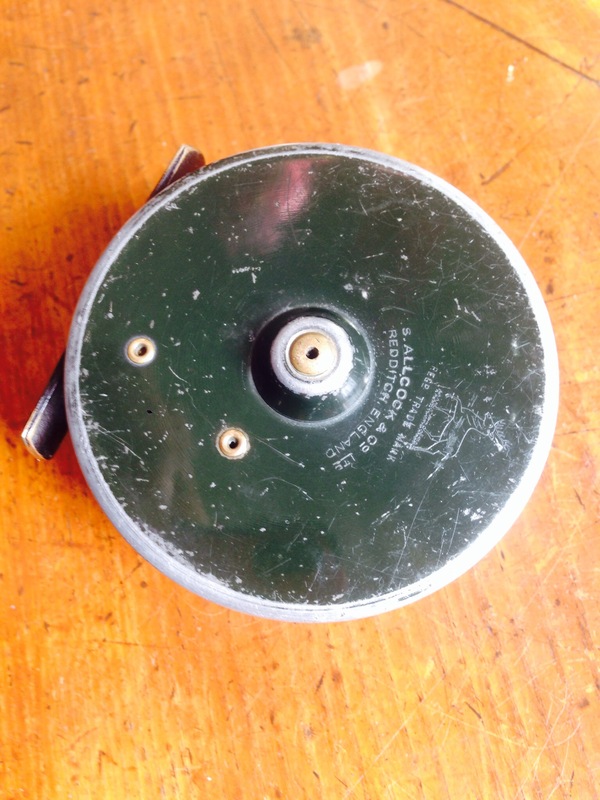 However, I’ve still found time to fish at least once a month and get to at least one car boot fair to find vintage tackle, what I haven’t done is post all the finds and there have been some great ones or detail some of our trips. As the trout season on rivers draws to a close we are only too aware of the limited time we have to tempt one last brown from the deep pools of the rivers of the South West, we missed our chance for a summer sea-trout and thoughts of a trip to Cornwall or the Boarders for an autumn salmon, now just a dream, just that the reality hits home that time passes us by all too quickly. Our scouring of boot and table sales was rewarding with magnificent finds but we’ll have to wait for another season before most items will see the riverbank. 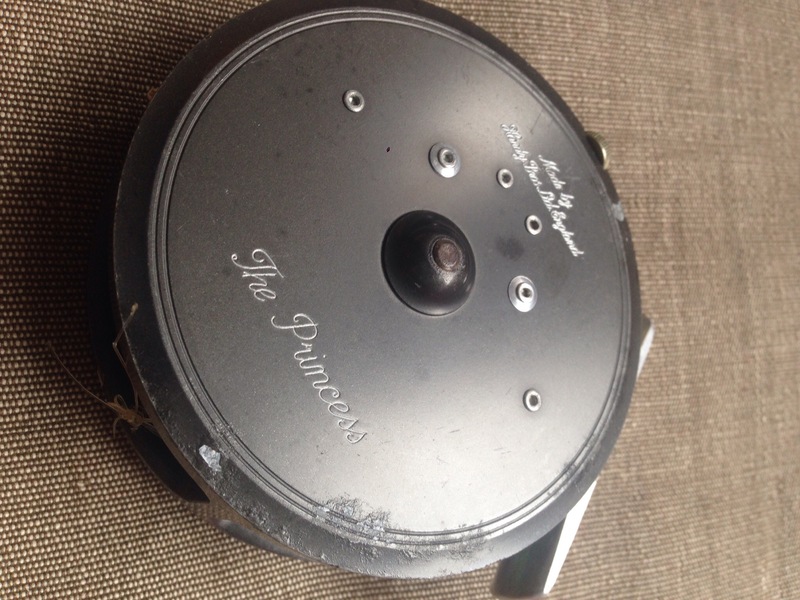 I will photograph and upload some of our best fly fishing tackle finds from reels , rods, spinners, flies and fly boxes and a range of bags. Some sea and coarse fishing items will be used over the winter months, we found a great Shimano Baitrunner 4500GT, Allcocks Aerial Match, a couple of Abu rods, a well used Hardy LRH No.2 Spinning rod, boxes of Abu spinners and several vintage fishing titles. Hopefully I will get time over the next week to photograph some of the items and if possible we may head out Perch fishing at the weekend. Over recent months I have noted the price that Chapman rods fetch along with those by the sought after B. James of Ealing. With the vintage fishing tackle scene still capturing the hearts of many a fisherman cane rods are still in demand. 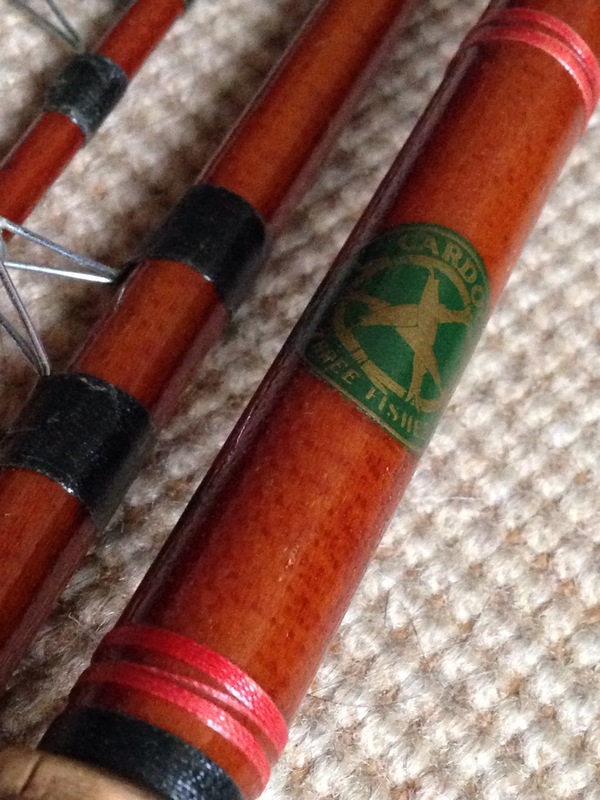 I took note of the recent sale of a Chapman The Fred J Taylor Roach Rod made of honey coloured cane with deep crimson aged whippings, the cork handle in fine condition with its period blackend alloy reel fittings. These rods in good condition are hard to find, having said that they come up on a regular basis but always get good money. 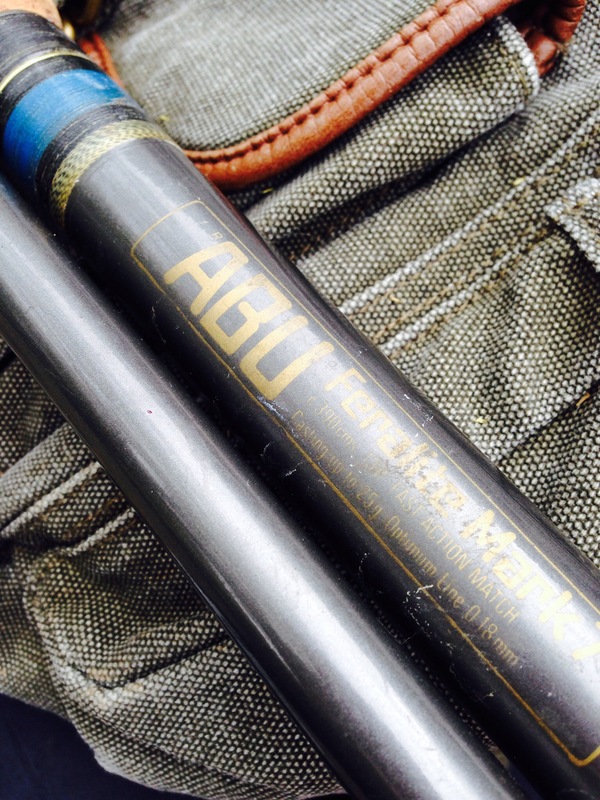 Other recent Chapman rods for sale such as ‘The Amwell’ 11ft float rod, Dennis Pye 700 Pike Rod can be purchased at a reasonable price , £75 for an Amwell and £120-150 for a Dennis Pye 700 Pike Rod in good condition. Most of the available now are either in original condition, so will need a level of refurbishment or you will find them restored. The interesting trend is to see the B James rods command much higher prices with an Avon or Kennet Perfection costing £250-295 and an Avocete demanding a good £100 more. With reference to the Fred J Taylor Roach Rod the final trading price was £148.90 for a usable rod inclusive of a rod bag. One point to make is that many cane rods look attractive but on closer instruction will need new whippings, rings and a good coat of varnish, that’s as long as there are no cracks or de-lamination of the cane segments. Most cork handles stand the test of time and can be cleaned with a mild solution of bleach…unless the varnish fairy has cast its spell which was all the rage in the 70’s it seems. 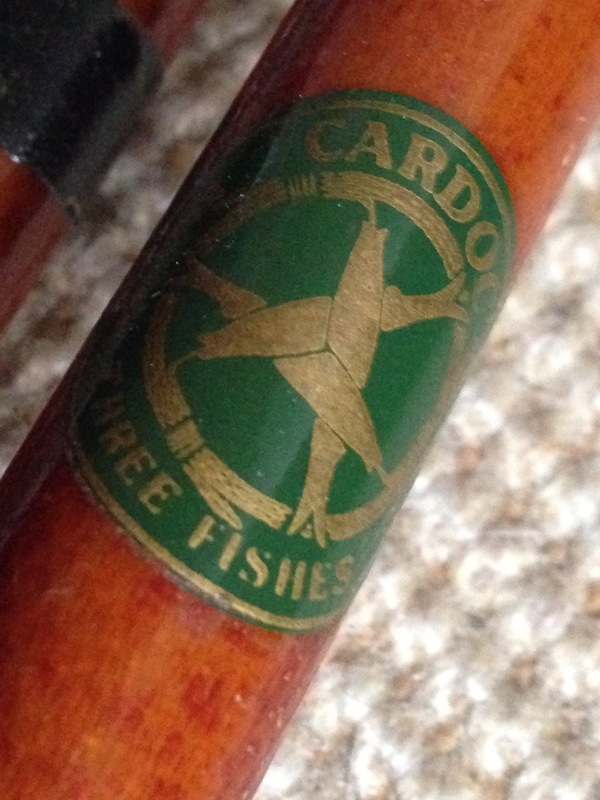 If you are in the market for a Chapman or B James cane rod then I hope the above is of some help. 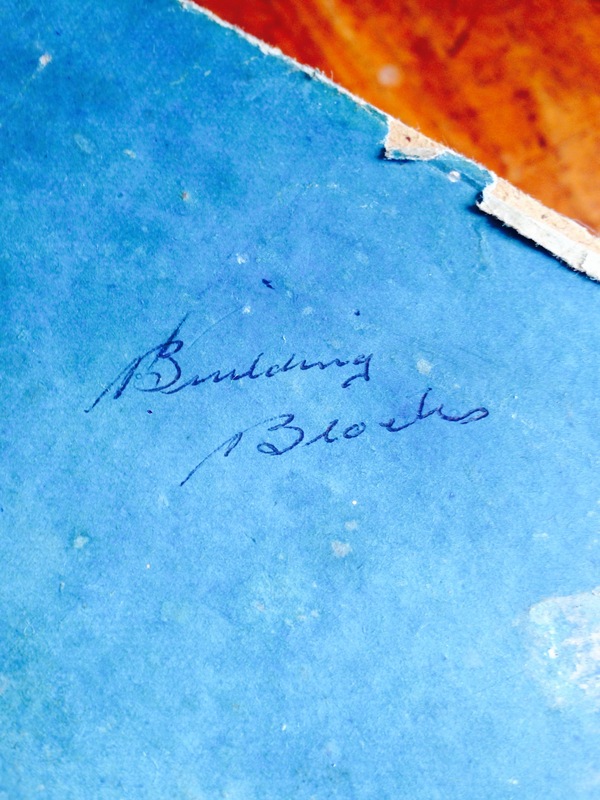 Inked on the top face of a small rectangular blue card box were the words ‘Building Blocks’, this box was dispatched from Glasgow a couple of days ago and it contained a mixed lot of vintage tackle. 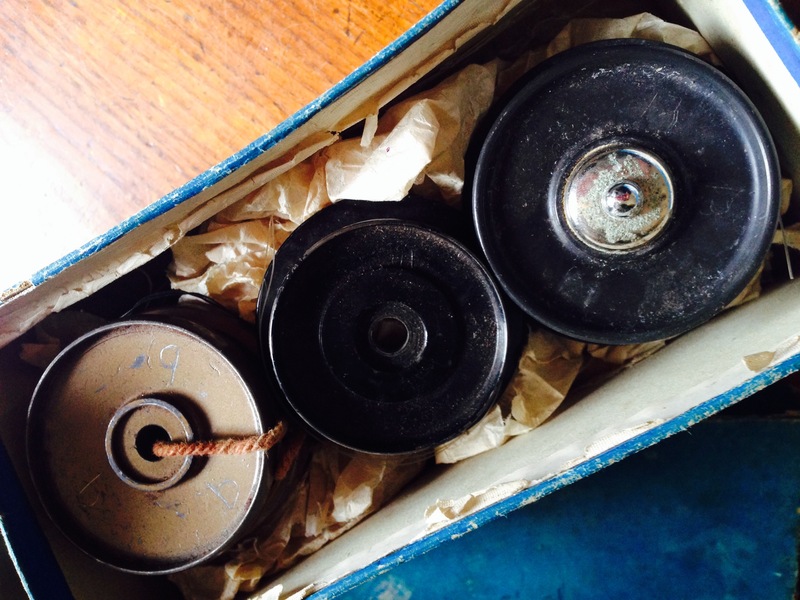 The items in the box could be timelined from the late 40’s early 50’s, why, because the three reel spools that form part of this hoard were all from early reels, one from an Abu 444, the other two from J W Young bearing the part numbers JWY170 circa 1948 and JWY259. Other items in the hoard were a cloth covered minnow, several named spinners, some home-made spoons for pike fishing, a packet of traces and two cards with flies attached, 3 Yellow May and 2 McGinty.